Hello! I have three beauty box posts in one for you today, as I know it can sometimes be tedious to read the same posts every month on every blog. 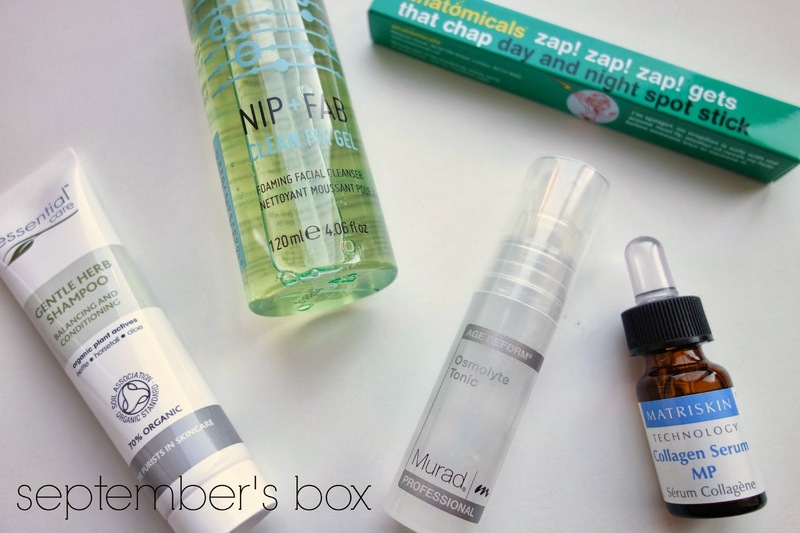 So, starting from July’s box, back when Love Me Beauty was called Beautecobox, I’ll go through what I thought of each product in a mini review until their latest September release! July Beautecobox | I love how they come with a little menu and you can pick which one you like (out of three) on their site when you order. It seems like such a lovely idea, considering a lot of beauty boxes never seem to be all that tailored to you, and it ensures you get more products you want! So, onto the products, getting 4/5 full size products is oh so good for £10 plus p+p! First up is Neal and Wolf, of which you get two full sized products. The Neal & Wolf Harmony Intensive Conditioner is fantastic and leaves hair so beautifully smooth and hydrated. When followed by Neal & Wolf Elevate to give hair some lift, they work as a lovely combo. Next we have another two full sized products from Art Deco. The Art Deco Shadow Base has a really creamy consistency, yet genuinely keeps your eyeshadow in place all day and I’ve been using the Art Deco Soft Kajal Liner smudged beneath my lower lashline for a smokey look. There was also a serum in the box, which was a good sample size, but I haven’t had a chance to try the Pukka Radiance Serum properly yet! 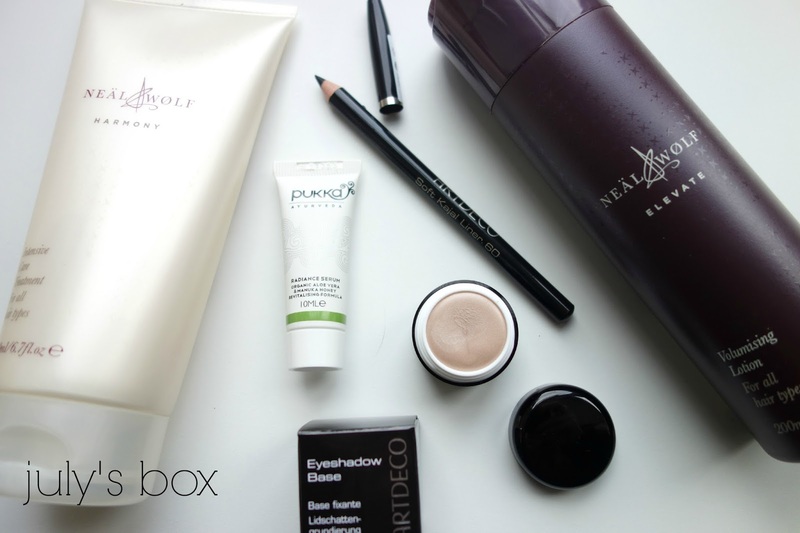 August Beautecobox | In this box, we have 3/5 full sized products, which is still really good for the price. First up, some lovely makeup, which I always like trying as I tend to stick to the same brands. Lord and Berry Intensity Lipstick in Peach Gleam is such a pretty shade, slightly too shimmery for my taste but I shall pass it onto my sister! The Lord and Berry Kissproof Lip Colour in Blossom is a lovely soft pencil, which I will be using more under peachy/pink shades, as it’s lovely quality! Onto skincare and body products, the Melvita Rose Body Milk is lovely, but rose isn’t my favourite scent so my mum will probably steal this off me! It does seem lovely though. The only thing I won’t try is the Arran Aromatics Lavender and Tea Tree Facial Wash, as tea tree just dries my skin out so I know it won’t work! Aaand unfortunately the S5 Purity Serum broke me out, which is sad as I had heard great things about the range. September Love Me Beauty Box | I loved their original little menu, but the newly designed one is even prettier, I think! There’s no makeup in this box and instead there’s lots of little skincare (and one haircare) products. First up is the Nip+Fab Clean Fix Gel which is a cleansing gel. I’m slightly apprehensive to use this as it’s a) a gel which are usually drying and b) it has ‘foaming’ in the title, which is typically not great for the skin. I will use it though and report back! Next are Murad’s Osmolyte Tonic which is supposed refresh and hydrate skin and Matriskin Collagen Serum, which I tried both of on one day and one (or both) broke me out slightly. No idea which product it was, so may try them separately just to see! The final skincare product is Anatomicals Zap! Day and Night Spot Stick which I am eager to try as I have a horrible under the skin blemish near my cheekbone right now, so I need that to disappear. The Essential Care Gentle Herb Shampoo was a nice haircare touch to the box and I’ll definitely try it out soon, as I’m keen to try more natural haircare products. So, that’s my opinions on the July, August and September Beautecobox/Love Me Beauty Boxes, so I hoped you like reading them! I know beauty boxes can be a bit hit and miss, but I genuinely really like these boxes as they offer great full sized samples and are more tailored to your needs! Do you subscribe to beauty boxes? 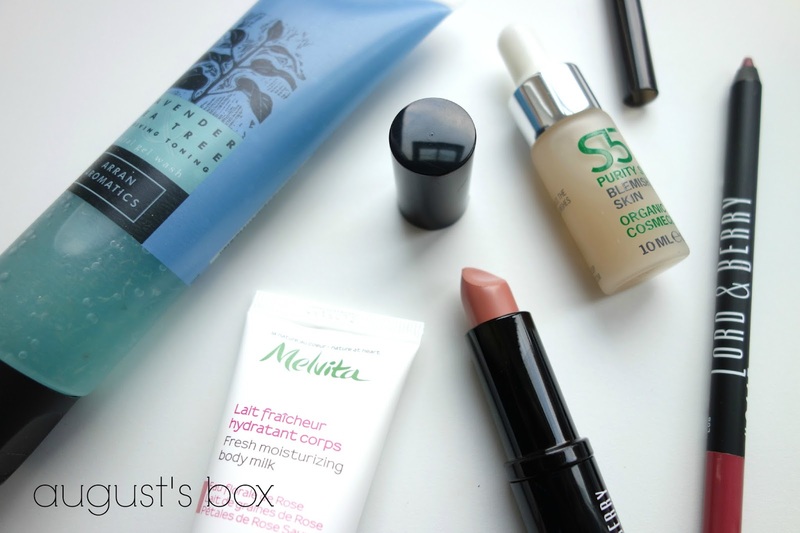 Have you tried Beautecobox/Love Me Beauty? make sure you’ve entered my Chanel giveaway and there’s 20% off all of my advertising packages, too! ps. take a peek at these lovely blogs: cherry pie, the student wardrobe and novella afterglow! check out these two lovely blogs: pretty little us and hello freckles!